A total of 100 Rural Improvement Club leaders, women entrepreneurs, outstanding rural women regional and national awardees and GREAT Women project 2 beneficiaries participated in the event and brought their products for the Product Assessment. For the Food Products Category, Adelia Q. Magsino and Carina Arellano, both National Outstanding Rural Woman runners up served as evaluators. For the Non-Food Products Category, Bernadette delos Santos, also a National Outstanding Rural Woman runner up and GREAT Women Project 2 beneficiary served as evaluator. Honorable Cecilia V. De Asis, Naga City councilor and President of Bicol and National Rural Improvement Club Council welcomed the participants. 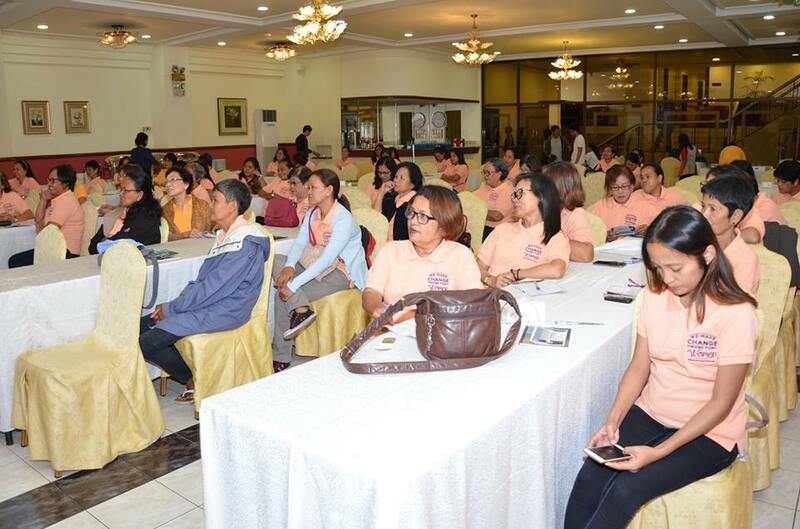 The women partners were also briefed on financial literacy, savings, budgeting, investments by Flor Joson of Bankgo Sentral ng Pilipinas Naga City branch. Know Your Money: Gain or Loss was discussed by Annie Panerio, General Manager of Cam. Sur Mulit-purpose Coop; Social Media and You by Bernadette delos Santos, owner of La Huerta farm in Baao, Cam. Sur; Women as Agents of Change was discussed by Rebecca Purisima, Chieftain of Tinawagan Tribal community in Tigaon, Cam. Sur and 2017 National Outstanding Rural Woman; Health is Wealth was given by Luzviminda Oropesa of Baras, Catanduanes, National Outstanding Rural Woman 2015. Aloha Gigi I. Bañaria expressed her appreciation to the rural women leaders present who are the DA’s partners in gender and development, especially in providing livelihood opportunities to the rural women to ensure that women will not be left behind in the pursuit of change.